The wait is finally over. 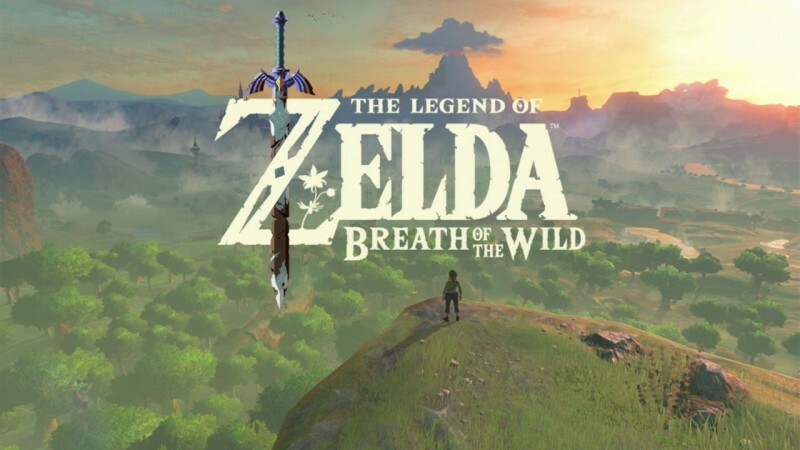 After 2 excruciating years since the announcement of Zelda Wii U, we finally have a name, as well as a playable demo for the game: The Legend of Zelda: Breath of the Wild. Nintendo has taken it upon themselves to dedicate their entire booth to the game, with immersive backdrops, statues, and dozens of demo stations. Of course, the line to play were long and grueling, not to mention that the line to just get into the booth was massive! Thankfully, the wait was well worth it. E3 attendees, who got in, were able to play two different demos, back-to-back, the first of which was entirely free-roam with some items already unlocked, like the glider and bombs. As a big fan of Zelda, Breath of the Wild feels largely unfamiliar to me. 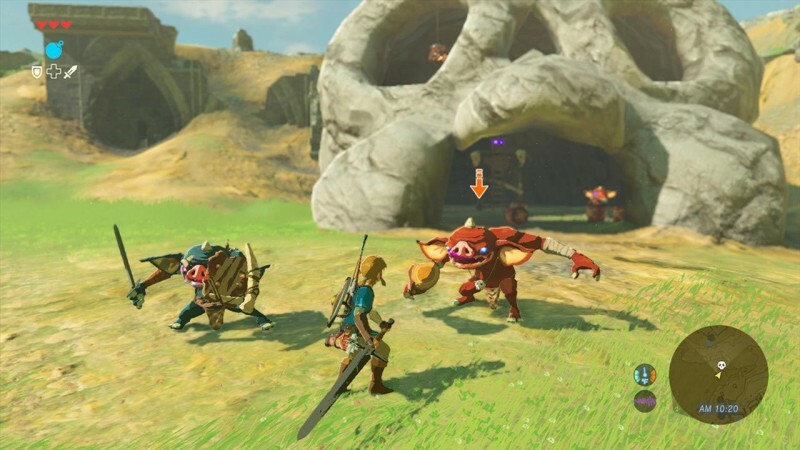 It’s not like Nintendo took the exact Zelda formula and slapped an open-world onto it; they changed it so much to the point where it feels so little like a Zelda game. 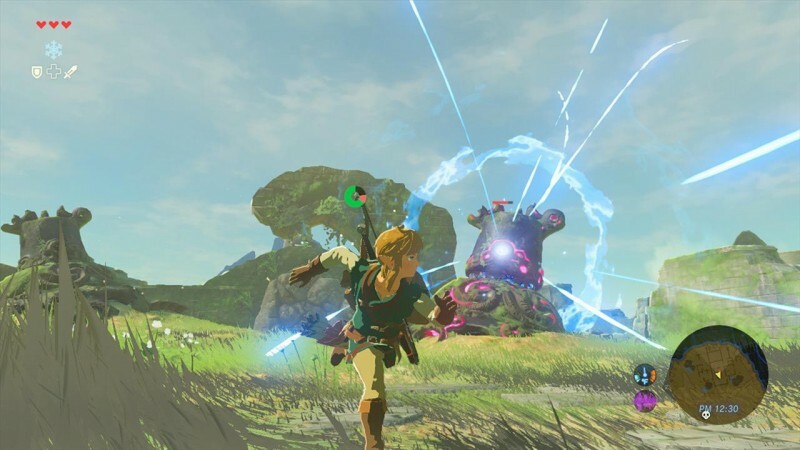 When lead developer and series producer, Eiji Aonuma, said in 2014 that they were changing the conventions of Zelda, he meant it in more ways than most fans thought. The first thing I did, upon booting up the first demo, was learn how to cook. Cook potions? No, food. For health, because hearts in this game have been completely scrapped. Link’s health is still labeled in hearts, but in this instance, you have to eat food to heal. In order to increase the effects that food has, you can cook them in a specific order to turn your slab of meat into a delicious shish kebab. My next objective was to look for trouble in the form of Bokoblins, pretty much the pawns of the entire franchise. Some of these suckers are more powerful than others, and I did end up dying because I forgot to heal myself, not being used to this new combat system put in place. It’s more technical than just “press X to attack and L to dodge”. It’s kind of like Skyward Sword (calm down), in the sense that you have to think about how you take on an opponent. I was then shocked to find that my weapon broke in the middle of a fight. What!? That almost never happens in a Zelda game! Turns out, you can store and equip any weapon from a tree branch to a sword. Think Wind Waker, but you get to keep the weapons if you so desire. With the game’s complex (for a Zelda game) inventory system, I’m getting a heavy action-RPG vibe to this game more so than any previous Zelda title. One of the most annoying things in an open-world game is having to traverse, but the good news is that Link is literally Spider-Man. He can climb up any surface for as long as his stamina meter allows. As someone who has spent countless hours trying to scale mountains by jumping in Skyrim, this is a godsend. 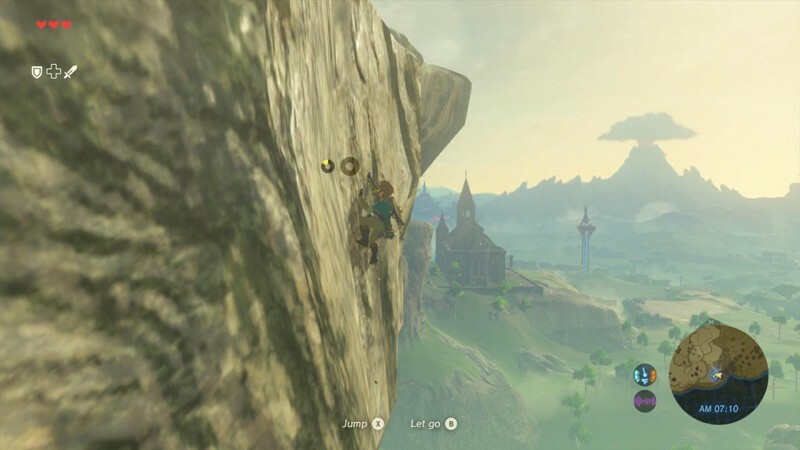 One of the few buildings in the demo is an abandoned/ruined Temple of Time, and I managed to climb the flat walls on that thing no problem, better than any Assassin! There are mini bosses you can find, such as a gollum, and the new foes called Guardians (shown in the original reveal trailer), but I ran out of time before I encountered any. It doesn’t help that the map size is (so I’ve heard) as big as the one in Twilight Princess, and that is just a small section! The second demo was more story-based; still, the same section of the map, but this time it takes place at the beginning of the game. By Zelda standards, the intro is extremely odd. Link wakes up from a 100-year stasis in a Revival Chamber, with a female voice telling him what to do. Keep in mind, this voice is…well, actually voiced! This is the first Zelda game to have actual voice acting, which I have wanted in the franchise for awhile! However, when you leave the revival chamber, you come across an old man that isn’t voiced, which left me to wonder if the female voice, in your head, is the only one. Aonuma later stated in an interview with Game Informer that there would be more voice overs in the game, and that Link would remain silent, so that ultimately answers my question. Since the past few Zelda games have had relatively slow beginning portions, it’s refreshing to see that the game starts you off right at the get go. After you head outside, you see the previously mentioned old man by a campfire who tells you vague information about the land of Hyrule. I was tempted to jump into a nearby pond, but was suddenly surprised by the presence of a Korok, a forest spirit from Wind Waker. It was odd, because it looked exactly liked it was ripped from Wind Waker HD. 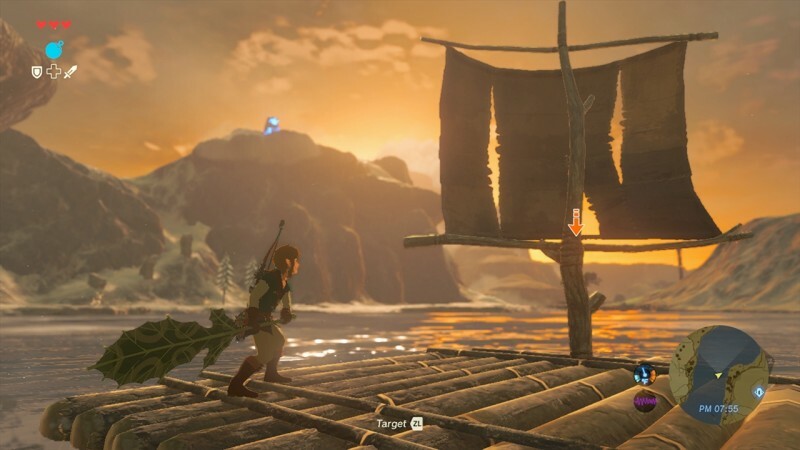 This could, possibly, give us hints about where the game takes place on the Zelda timeline, quite possibly before or long after Wind Waker, in my opinion. One problem I have with Breath of the Wild, so far, are the awful frame rate dips in some areas. It would drop between 10-15 fps in random areas, which is only pushing me more to get the NX version (which hasn’t been revealed yet). Anyway, there is an objective you are encouraged to go to, which will lead you to a collapsed tower. You then raise it back up with the key item in the game, the Sheikah Slate, and suddenly the tower acts as fast-travel point. This leads you to a Shrine Trial, one out of the hundred plus mini-dungeons in the game. I would tell you how I played it, but I ran out of time as SOON as I started. In short, my 40 minutes with The Legend of Zelda: Breath of the Wild was intriguing. I knew it was going to be different from previous entries, but I didn’t think they would completely rewrite the formula on how a Zelda game works. It’s no secret to everybody that this will be my “Game of the Show” once E3 comes to a close, but I will do my best to play it once more come the last day. Expect my impressions on the Shrine Trial if I do! l love to play games and write stuff about them. I can't play something and not tell anyone how I feel about it. Call it a sickness, because it is.